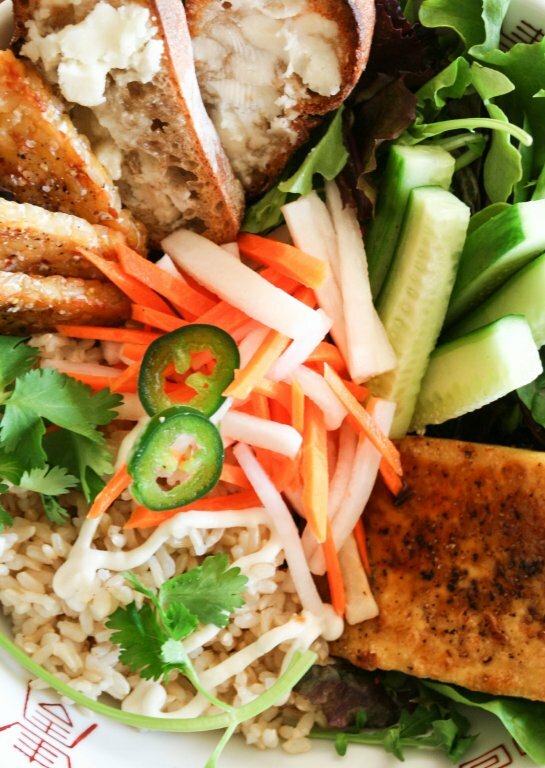 You have all the ingredients for your banh mi sandwich, but you are missing the right bread for it. 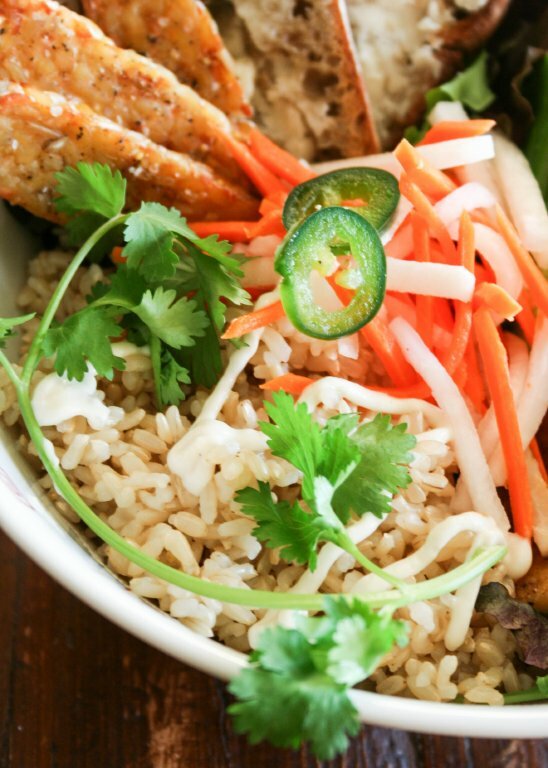 Make deconstructed bahn mi rice bowl! 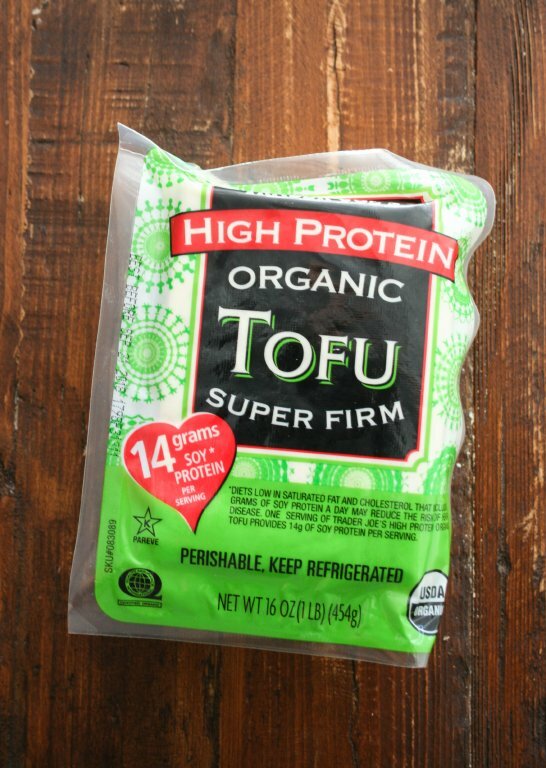 I talked about this Trader Joe’s super firm tofu before. 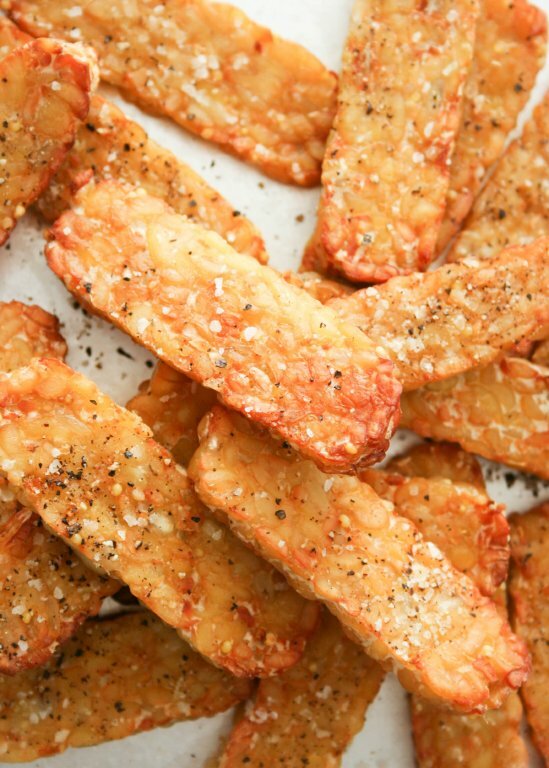 This is REALLY firm and dense, and when cooked, the texture resembles that of chicken. 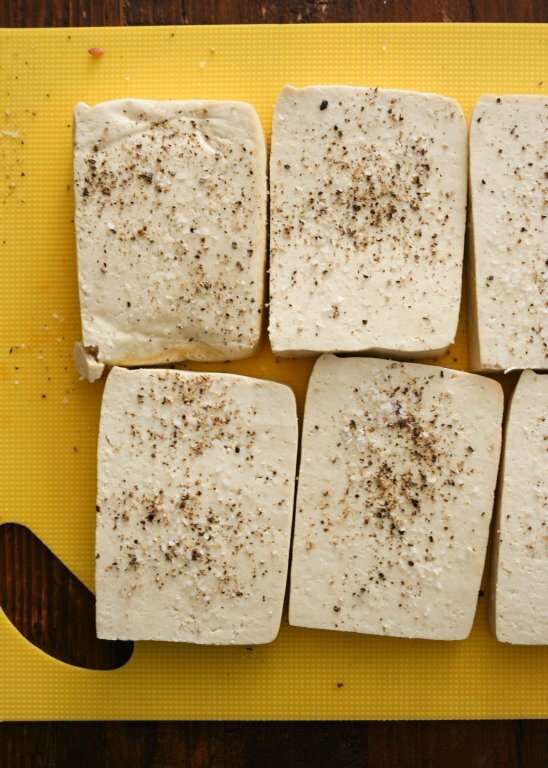 That’s why I say it’s a good first tofu to cook for tofu beginners. 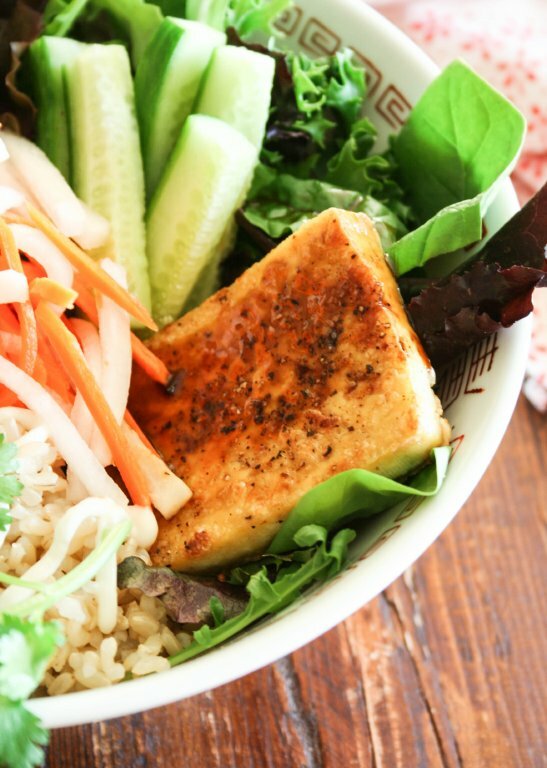 We are definitely not beginners, but we still like it, as it’s different from other tofu. 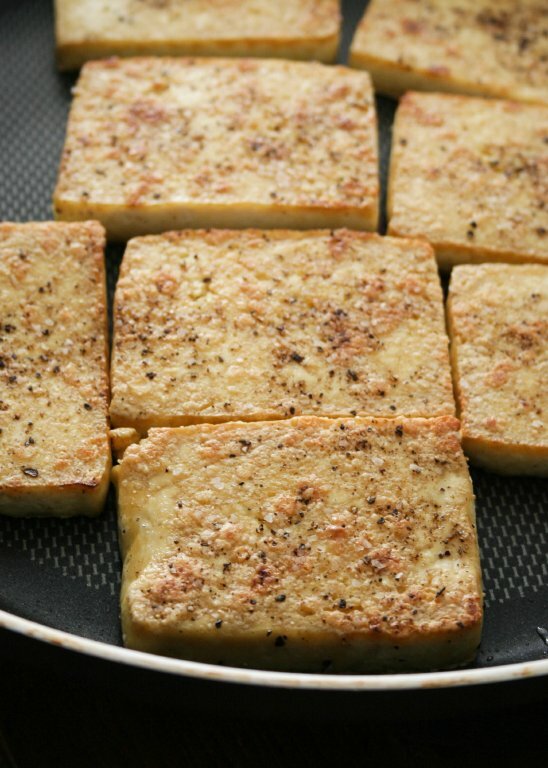 In addition to the tofu, I also prepared crunchy tempeh. 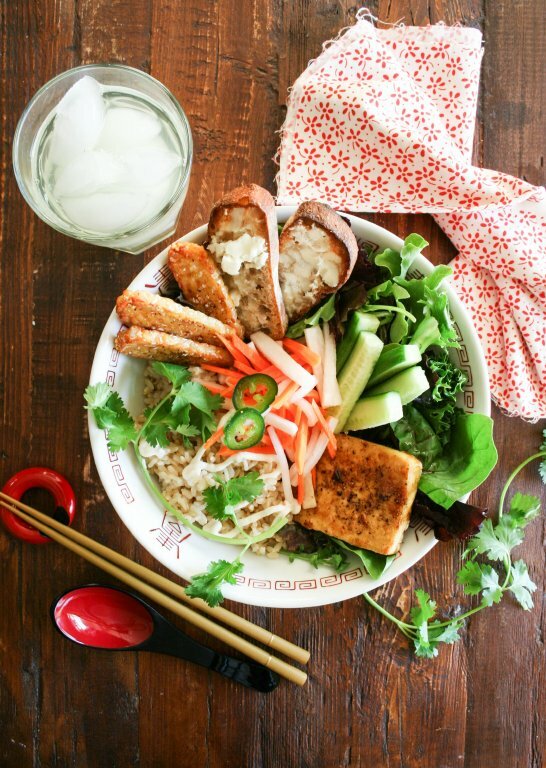 You first start with brown rice, and then add everything that would make banh mi otherwise. 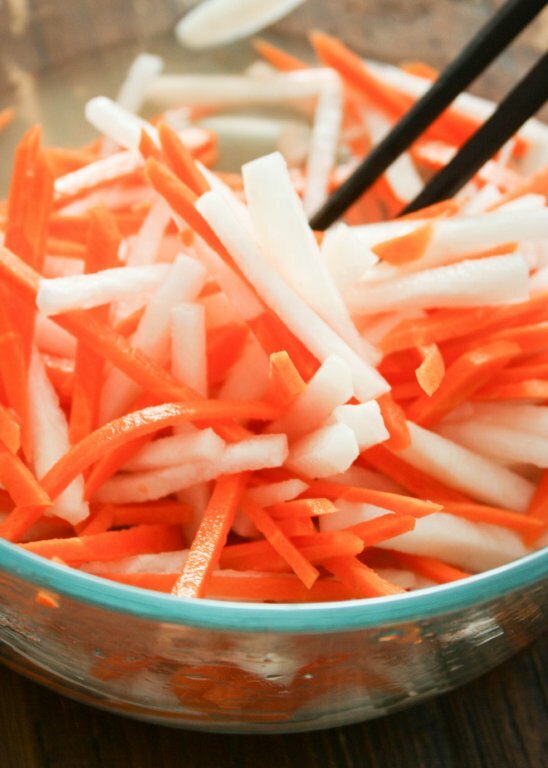 Fresh crunchy veggies are a must. This was written by Reiko Tanaka. Posted on Wednesday, September 19, 2018, at 8:35 am. 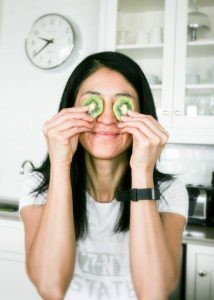 Filed under Asian Food, Rice/Grains, Tempeh, Tofu. Bookmark the permalink. Follow comments here with the RSS feed. Post a comment or leave a trackback.